The tree showed up in great condition, and has done great so far! If you desire a tall shade tree for your yard, look no further than the White Oak Tree. Along with growing tall, it has a large canopy due to its branches extending out parallel to the ground. The leaves are glossy green in the spring and summer, then turn red or burgundy in the fall, giving your property a beautiful burst of natural color. Also, the White Oak Tree produces acorns that are not as bitter as ones from other trees. This attracts wildlife like squirrels, jays, grackles, thrushes, wood ducks, even deer. White oak is just the tree for shade as well as beautiful autumn foliage. In the fall the leaves, which have rounded lobes, turn golden brown or a deep red. 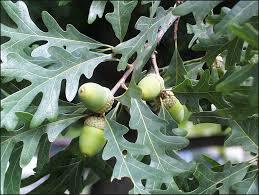 It ovoid acorns is autumn and winter food for squirrels and deer. 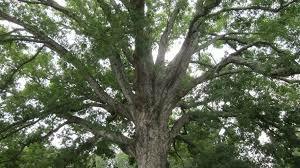 An oak tree can live between 200 and 300 years and will keep growing until it dies. The white oak is a beautiful and stately shade tree of the Beech family. The oaks have been termed the “king of the trees” since the 1900’s, and white oak is considered by some to be the noblest of them all. This broad, tall tree reaches a height of eighty feet and a spread of eighty feet. They grow slowly, adding two feet per year to their height and spread. The white oak’s leaves have profoundly curving lobes and a glossy sheen. It produces acorns through the year and drops them by early October. The white oak is a favorite tree for squirrels and birds that feed on its acorns. In fall the White Oak Tree leaves mature to a burgundy red. Some specimens of the white oak live for centuries. Its robust and broad branches keep it intact through stormy weather and winds and make it a great climbing tree. 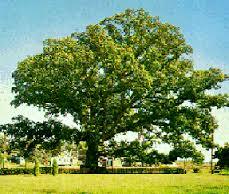 The White Oak Tree's claim to fame is that it is one of the longest-lived oak trees in the world. These trees are very slow growing, but provide a tremendous amount of shade, while their acorns serve to attract a great deal of wildlife. Since it lives for such a long time, it can be passed down through the generations along with the house and property! Since the tree grows so large, it’s a good idea to plant it well away from the house or any overhead wires.